Natural proteins for stronger roots. 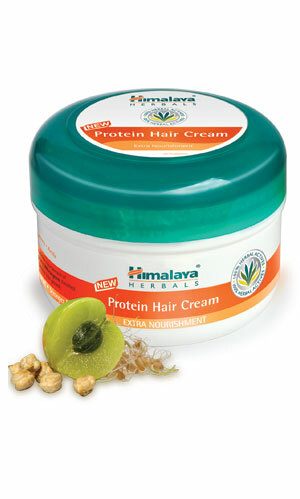 Himalaya Herbals Protein Hair Cream Extra Nourishment is a unique herbal formulation for dry or damaged hair with extra nourishment from natural proteins derived from Chickpea and Wheat Germ. Our hair cream is enriched with Eclipta and Amla that promote hair growth. Massage Himalaya Herbals Protein Hair Cream Extra Nourishment gently on scalp and hair, leaving it for an hour before shampooing. Apply to damp hair after every wash for all day extra nourished and stronger hair. Use daily before and after hair wash.